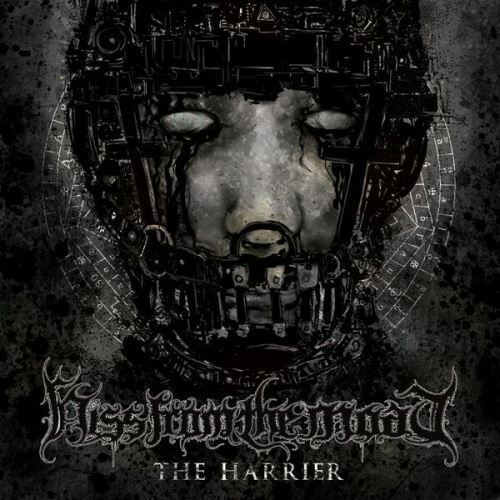 Hiss From The Moat – the transcontinental black/death metal band founded by acclaimed drummer James Payne (Vital Remains, Hour of Penance) – will release their second album, The Harrier, on February 22 via M-Theory Audio. The Stefano Bonora-designed cover artwork can be seen below. The Harrier was recorded, mixed and mastered at Milan’s SPVN Studio with Stefano Orkid Santi, who produced the latest Cripple Bastards album and previously worked as live engineer for bands such as Origin, Suffocation and Cattle Decapitation. The U.S.-based Payne formed Hiss From The Moat with two Italian friends – bassist/vocalist Carlo Cremascoli and guitarist Giacomo Poli – when he was just 18 years old. 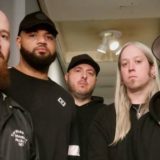 In 2009, the group self-released their debut EP, The Carved Flesh Message, which they supported by performing alongside the likes of Psycroptic, Skeletonwitch and The Black Dahlia Murder. Four years later, Hiss From The Moat released their debut full-length, Misanthropy, via Lacerated Enemy/Nuclear Blast. The band’s intense use of both extremes of death and black metal produced an album that stood alongside the delivery of acts such as Behemoth, Belphegor and Rotting Christ. 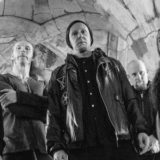 Following the release of the album, Hiss From The Moat embarked on an extensive tour across Russia, Europe and Asia, delivering aggressive and visually engaging performances backed by the blackened intensity of the band’s new material. During this period, Payne left the legendary death metal act Vital Remains – a group he joined following a two-year stint with Italian death metal powerhouse Hour of Penance – to focus full-time on Hiss From The Moat, and the band extended from a three-piece to a quartet with the addition of Max Cirelli (guitar/vocals). Over the past two years, the band has toured extensively worldwide while working between the U.S. and Italy to write The Harrier. Now, Hiss From The Moat aim to unleash another sonic onslaught that captures the band’s range of death and black metal inspiration while creating a unique and intense presence in the world of extreme music. A series of in-studio reports have been issued the last months showing the band at work in Milan recording The Harrier. View each at the group’s YouTube channel. Pre-order Hiss From The Moat’s The Harrier on CD or limited-edition Vinyl at www.M-TheoryAudio.com/store.